PGA Tour is still left with one last event for the month of March 2018 with Houston Open starting tomorrow at the Golf Club of Houston where Russell Henley is the defending champion. The month of April is already so exciting when it opens with the most awaited major of the year, The Masters Tournament starting Apr.5, 2018. Find all the events from April listed below. The Masters was started on March 22, 1934, by noted amateur champion Bobby Jones and Investment Banker Clifford Roberts. The Masters, also known as The Masters or The US Masters is one of the four major championships in professional golf. The tournament has a number of traditions. Since 1949, a green jacket has been awarded to the champion, who must return it to the clubhouse one year after his victory, although it remains his personal property and is stored with other champions’ jackets in a specially designated cloakroom. The event is scheduled for Apr. 5 – Apr. 9, 2018, where Sergio Garcia is ready to defend his title he won by defeating Justin Rose in a playoff in 2017. Till date, only three players have won The Masters back to back, Jack Nicklaus (1965 & 1966), Nick Faldo (1989 & 1990), and Tiger Woods (2001 & 2002). 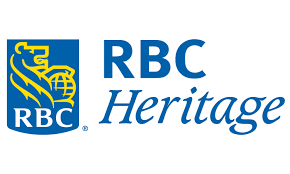 The RBC Heritage, known for much of its history as the Heritage Classic or simply the Heritage, is a PGA Tour event, first played in 1969. The venue has been the Harbour Town Golf Links at the Sea Pines Resort on Hilton Head Island. The event has a prize fund of $6.5 million and is scheduled for Apr.12 – Apr.15, 2018. In 2017 Wesley Bryan won the event by a stroke over Luke Donald. 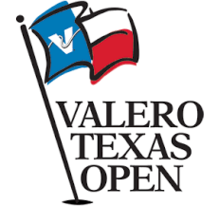 Valero Texas Open is a professional golf tournament on the PGA Tour, played near San Antonio, Texas. It was first played in 1922 when it was called the Texas Open. It is played at The Oaks Course at TPC San Antonio. The Valero Energy Foundation is the host organization for the Valero Texas Open. The event was won by Kevin Chappell in 2017 by defeating Brooks Koepka with one-stroke. Zurich Classic of New Orleans is a professional golf tournament on the PGA Tour, played in New Orleans area. The event was first played in 1938 and held annually since 1958. 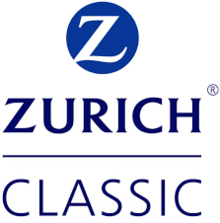 In 2017, the Zurich Classic became a team event, with eighty teams of two. The event is scheduled for Apr. 26 – Apr. 29, 2018 and the team of Jonas Blixt and Cameron Smith will be defending their title.